The Boston Consulting Group raked in $3.05 billion in revenue last year—a 12 percent increase from 2009—facilitating the establishment of three new offices in 2011. Having broken ground earlier this year in both Tel Aviv and Perth, the firm plans to open an office in Rio de Janeiro in a matter of months. Also in 2010, BCG increased its headcount by a solid 8 percent, bringing its consultant total to 4,800. BCG now has 71 offices in 41 countries, not counting the soon-to-be Rio outpost. The Tel Aviv office is the firm's first in Israel, which it called "one of the world's leading innovation hot spots" and "a critical location for serving businesses throughout the Middle East." BCG also has offices in Abu Dhabi and Dubai. The new Perth office is BCG's fourth in Australia, with the firm claiming a presence in Canberra, Melbourne and Sydney. "Perth broadens and deepens our presence in Australia," said Hans-Paul Bürkner, president and CEO, "allowing us to work more directly with the important business and government communities there." "What exactly is this Boston Consulting Group, what are its credentials, and how much did it get for its stupid report? "; "Who are the people behind the Boston Consulting Group? Did they not go to school? "; and, "[an Australian politician] must denounce every aspect of the Boston Consulting Group report for exactly what it is, yet another betrayal of the public education system by politicians and bureaucrats." Another angry citizen demands that BCG consultants be forced to watch the consultant-inspired Clooney film Up in the Air, in order to understand "the effect that groups such as Boston Consulting Group have on the lives of ordinary people." The report, issued by BCG on behalf of the government of New South Wales, was rejected by that territory's education minister (the somewhat appropriately named Verity Firth). 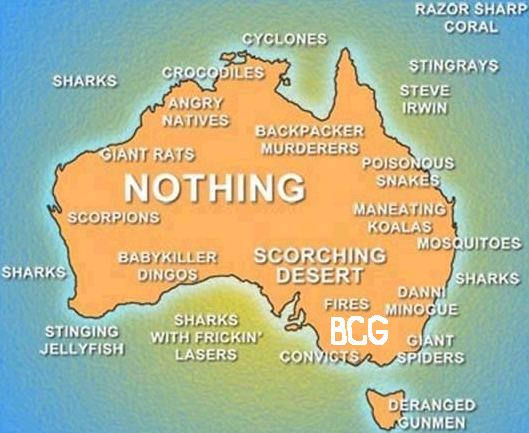 So: in sum, BCG had a great year and will continue to expand throughout the world. Even if you don't want them to.